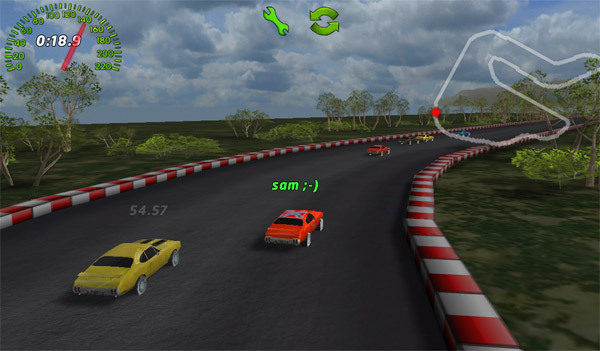 My ‘versus ghost’ social racing game, Musclecar Online, is now live in a few places: the Mac appstore, Android Google Play, and BlackBerry PlayBook App World. You can also get it for Windows/Mac/Linux on the game’s website. 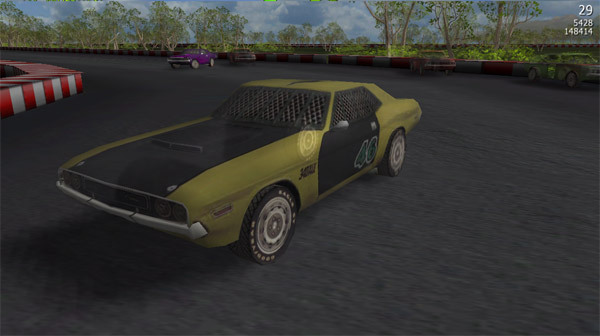 The Musclecar Online player-base is growing steadily; we’re currently getting a couple of hundred new downloads a day and by day-end we’re seeing upwards of 100 users posting laps in the more popular cars. The next couple of weeks will be interesting, and maybe we’ll see whether there’s any viral potential in the social features I worked so hard on!